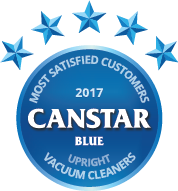 Compare upright vacuum cleaners in New Zealand at Canstar Blue. Shark, Bissell, Dyson and Electrolux were compared on value for money, ease of use, quietness, effectiveness, size, ease of storage and overall satisfaction. *Overall satisfaction is an individual rating and not a combined total of all ratings. Brands with equal overall satisfaction ratings are listed in alphabetical order. Canstar Blue research finalised in May 2017, published in June 2017. Shark awarded five stars for outstanding customer satisfaction to take the top spot for the second time in three years. Vacuuming is rarely a job we look forward to but 87% of us do it at least once a week. So, no matter whether it’s a quick tidy up or a full blown spring clean, we want a vacuum cleaner that will do the job and do it well. The two main types of vacuum on the market are the barrel cleaner and the upright cleaner. Barrel cleaners are, as you would expect from the name, barrel-like cylinders that run on wheels and have a long hose attached,while uprights are the taller, push-me-pull-me type of cleaners. Apart from size and shape, the other difference between them and is that upright cleaners tend to have a rotating brush as well as suction to help collect debris from the floor, while barrel cleaners rely purely on suction. For many, upright is definitely their preferred weapon of choice against the dust and muck that resides in their carpets, rugs and floors. But what is it about the upright cleaners that people like? Value for money was the top consideration when people were buying an upright cleaner, but how do you make sure you’re getting bang for your buck? First, think about what you want from your cleaner. There’s a huge range of models on the market going from the very basic to ones that have a huge range of extras and accessories, turbo boosts, double rotating brushes or hyper allergenic filter systems. All great if that’s what you want, but if you don’t need it, don’t buy it as all these things only offer value if you use them. It’s also a good idea to shop with a budget in mind. It’s an even better idea to stick to it! Shark was awarded five stars for value for money, with Electrolux and Bissell on four stars and Dyson on three. Effectiveness was also considered a top priority. For nearly a third of upright vacuum users, vacuuming was their least favourite household chore so it stands to reason that they want to be rewarded for their efforts with their floors looking good when they’ve finished. To help with the effectiveness of a vacuum cleaner, a lot of manufacturers now have different models for different types of households. For example you can now get models specifically designed to pick up animal hair, great if you have pets, or ones with additional filtering capabilities, designed to help allergy and asthma sufferers, or even lightweight models if you find the traditional models too heavy and cumbersome. Shark was awarded five stars for effectiveness, Dyson four stars, and Electrolux and Bissell three stars. Ease of use was next on the wish list. Size and weight are the big considerations as well as accessories and tools. The great thing about upright cleaners is that, unlike barrel vacuum cleaners, many of the accessories can be stored on the cleaner itself, so they are always close at hand. Just make sure they are easy to attach and don’t impact the efficiency of your vacuum. Shark and Dyson scored five stars for ease of use, with Electrolux scoring four and Bissell three stars. You don’t want to display your vacuum like your Nan’s best china so ease of storage is also important. Again this tends to be a little easier with upright cleaners as you don’t have to contend with a hose snaking its way out of the cupboard every time you try to close the door! Shark once again scored five stars in this category. Dyson and Electrolux registered four stars and Bissell three stars. Although size was deemed less important it’s still something to think about. If you only have a small home, you don’t want an industrial size cleaner that is hard to manoeuvre and takes up all of your storage space. All brands scored five stars in this category apart from Bissell who registered four stars. Finally, the quietness of the cleaners was considered. Upright cleaners are generally thought to be noisier than barrel cleaners due to their design which may explain why it was of lesser importance to the consumers we surveyed. This was the only category where Shark did not score a maximum five stars. 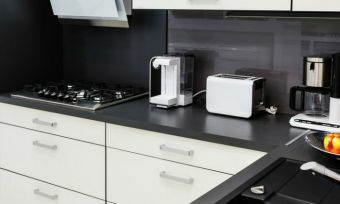 Electrolux took top spot in this category with five stars, Dyson four, Shark three and Bissell two stars. Canstar Blue commissioned I-view to survey 2,500 New Zealand consumers across a range of categories to measure and track customer satisfaction. The outcomes reported are the results from customers who have purchased an upright vacuum cleaner in the last three years – in this case 257 New Zealanders. 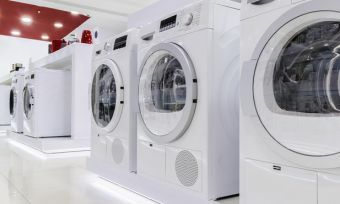 The secret to reducing large energy bills is reducing the use of your power-sucking home appliances. 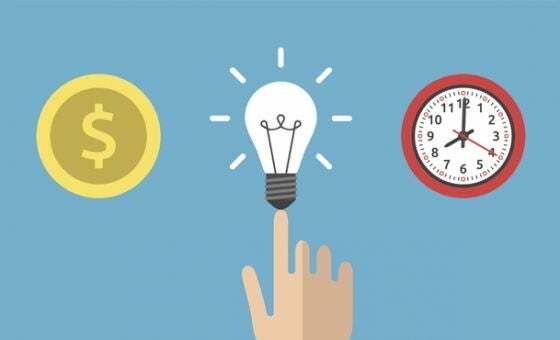 Here is a guide to saving money. 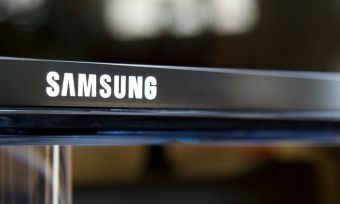 Just when you thought the TV was dead, Samsung goes and makes a curved TV that promises to change the game. How does it stack up? Read our review.